We love kitchens and often find that they deserve to be remodeled. After all, they are used pretty much every day all across North America (and the world). If your client’s kitchen is outdated or tired, ProSource® of Hampton Roads is going to be key in the remodeling process. Our wholesale prices and huge selection give you an edge as a trade pro, so don’t miss out. 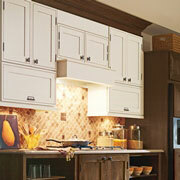 Kitchen cabinets define the kitchen just like wall paint defines a room. That means you need to be careful when you explore our huge selection of colors, materials, and styles. You are sure to find the perfect solution, and our professional designers are ready to help if you need it. 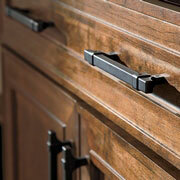 Cabinets are beautiful on their own, but adding a handle, pull, or knob can make them truly stunning. Our collection of world-class hardware is sure to serve your clients with excellence for years to come. Chipped and worn countertops aren’t just inconvenient, they can be dangerous. 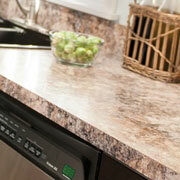 Replace your old countertops with gleaming granite, quartz, recycled materials, or other options. With ProSource of Hampton Roads, you are sure to get the best price. There’s nothing as frustrating is trying to wash a big pan in a tiny sink! 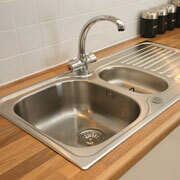 A remodel is the perfect opportunity to get a sink that actually fits your client’s needs. 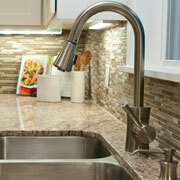 The days of simple hot and cold faucets are long past. Unless that’s all your client wants, you are free to explore our selection of pot-fillers, beverage faucets, and beyond. It is time to find the most convenient combination that will please your client every time they use it.